Logística Marítima Integral, S.A. (MARILOGINSA) is a global logistics company headquartered in Quito, Ecuador. As a newly create company, member of Group TNO we expand our capacities throughout a network of reputable value connection assembled by company shareholders, who are professionals with relevant outcome in the shipping and project cargo handling totalizing over 100 year experience in this field. Our services include ocean freight consolidation and forwarding, vendor consolidation, customs clearance, cargo insurance, distribution and other value added ancillary logistics services. Our partner’s deep understanding and experience in handling mayor cargo project in Ecuador, Peru and Colombia position us an invaluable partner for industrial / turnkey projects. At MARILOGINSA we pride ourselves on being a solutions-based organization that put its best efforts and take time to understand customer’s individual business needs. As a non-asset based organization, we have considerable flexibility when managing customers’ supply chains due to our relationships with local suppliers and global ocean partners combined with our deep understanding of shipping / logistic market. We are ready to provide best routing / pricing solutions. 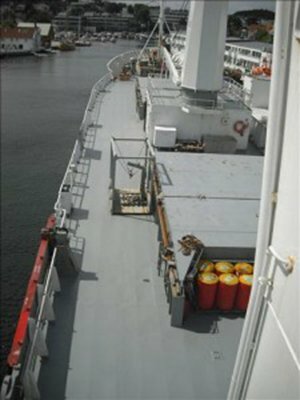 Our comprehensive and flexible spectrum of services is supported by personalized negotiation, planning and information exchange providing a high level of visibility from end to end, and transparent information that enable our clients comfort when executing budgeted business ensuring that we always live up to our promise, “Your cargo project partner”. MARILOGINSA promise is not mere hype; it is our commitment to go beyond the expectations of what companies need from a global logistics provider. Through organic growth, not acquisition, we give our clients peace of mind knowing that their day to day business won’t be disrupted by merger pains. Customer service is our focus and we take great pride in ensuring that our customers receive the same level of consistent service from everywhere in the world he ship his cargo. While logistic industry main stream business lines count with a structured response in the market as it is for steady – state manufacturing; on our market niche – Industrial / Turnkey Projects – Our client’s needs and goals drive out our logistic solution designing process supported by the right working team and partners. Long lead time projects require expedited and in time movement / handling throughout a global transportation plan. We align any of our solutions to the larger strategic environment surrounding our client and our client clients, protecting the value he delivers. Macro oversight and deep planning doesn’t shorten our tactical and operational response capacity in an ever changing environment since we follow up / accompanied your cargo at every stage.